Following the example set by left-wing regimes from Mexico to Moscow, the Republicans had launched a campaign of persecution against the Spanish Catholic Church, and Auden arrived to find that all of the city's many churches had been closed and its priests exiled or killed. "To my astonishment," he wrote, "this discovery left me profoundly shocked and disturbed.... I could not help acknowledging that, however I had consciously ignored and rejected the Church for sixteen years, the existence of churches and what went on in them had all the time been very important to me." What he felt during his Spanish encounter with left-wing anti-Christianity was similar to his reactions to the anti-Christianity of the right. The "novelty and shock of the Nazis," Auden wrote, and the blitheness with which Hitler's acolytes dismissed Christianity "on the grounds that to love one's neighbor as oneself was a command fit only for effeminate weaklings," pushed him inexorably toward unavoidable questions. "If, as I am convinced, the Nazis are wrong and we are right, what is it that validates our values and invalidates theirs?" The answer to this question, he wrote later, was part of what "brought me back to the church." When confronting the phenomenon of modern totalitarianism, he argued, "it was impossible any longer to believe that the values of liberal humanism were self-evident. " Humanism needed to be grounded in something higher than a purely material account of the universe, and in something more compelling than the hope of a secular utopia. Only religious premises could support basic liberal concepts like equality and human rights. Only God could ask human beings, as the poet put it, to 'glove their crooked neighbor with all their crooked heart." Auden being Auden, all of this was later summarized in verse, in two stanzas from his 1973 poem "Thanksgiving." forced me to think about God. Why was I sure they were wrong? guided me back to belief. The details of his pilgrimage were distinctive, but in its broad outlines, Auden's story was emblematic of his era. 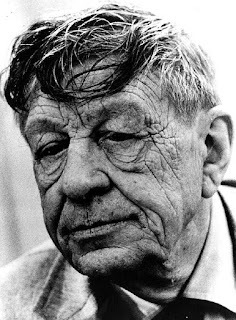 The disillusionment with the utopias of left and right, the sense of religion as a moral bulwark against totalitarianism, the influence of a generation of brilliant apologists and theologians, even the physical migration from the Old World to the New—these elements in Auden's return to Christian faith were also crucial elements in the larger postwar revival of American Christianity, which ushered in a kind of Indian summer for orthodox belief.